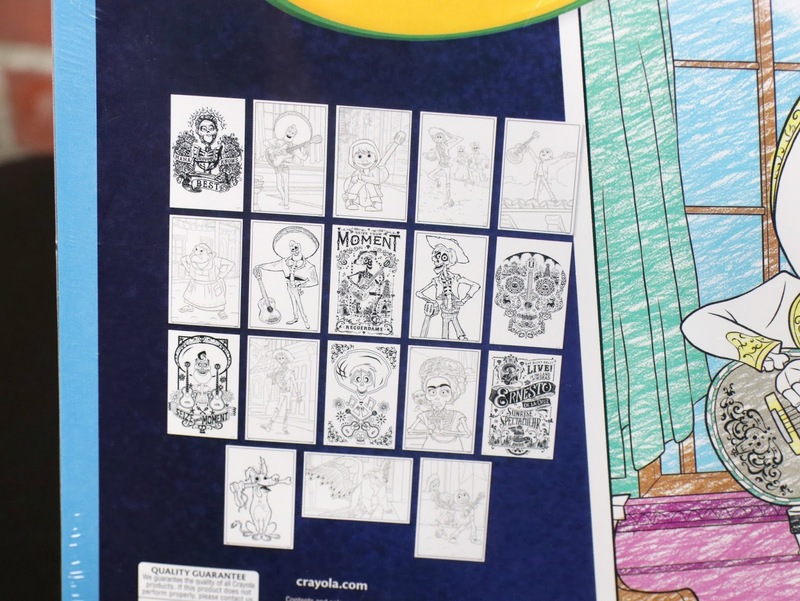 Here's a cool tidbit of info for all you Disney·Pixar fans—especially those anticipating Coco. 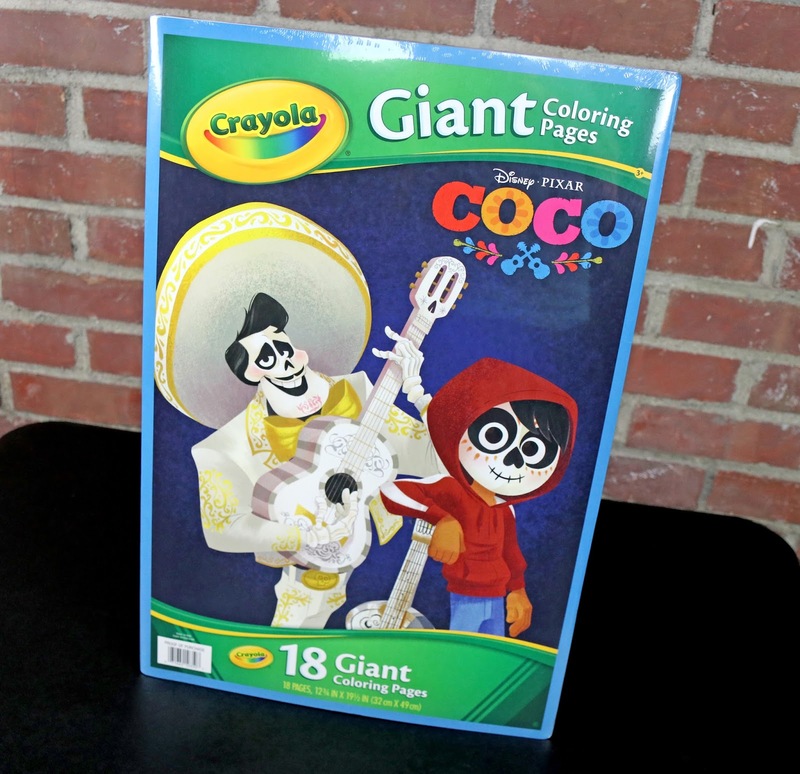 Starting today at Toys R Us, if you buy $25 worth of Coco related products (Arts/crafts, games, toys, books...anything goes), you receive this FREE Coco 18 page Giant coloring book by Crayola (a $5.99 value)! How cool is that? This morning I ran over to my local Toys R Us and took advantage of this sweet deal. This book really is giant, with the pages measuring about 20"x13" (essentially a poster size). 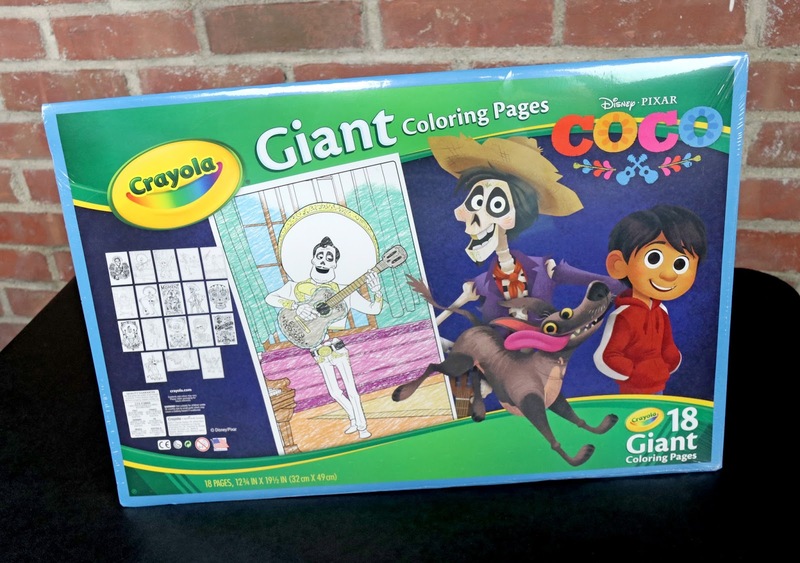 Kids will no doubt love coloring in this large format! Here's a closer look at all 18 designs included below. I like how some are simple and some are a bit more intricate. A great mix for kids of all ages. Don't hesitate! This deal ends on November 18th. If you or your kids are excited about this film, definitely head to your local Toys R Us, load up on some merch and get this free gift. This deal is also available online HERE. Final note—if you're interested in the Coco "Skullectibles" (a fun line of mini figures which I'll be reviewing here shortly), they're also now on promotion as of today at Toys R Us ("Buy 1 Get 1 40% Off"). That's a collection I highly recommend picking up! More on that soon. Shout out your thoughts in the comments below!